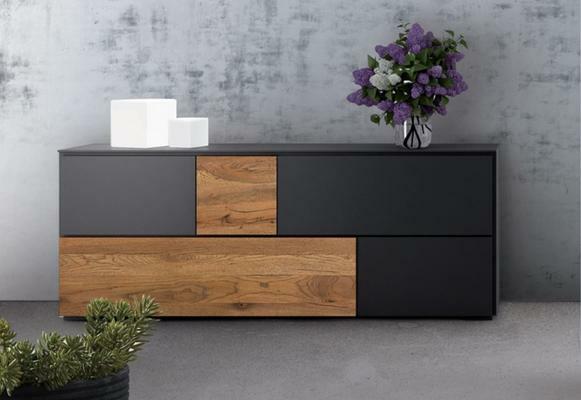 If you are looking to create an uber chic and modern look in your home then the new and exciting Loft (wild) large sideboard from Oliver B. Casa is for you. 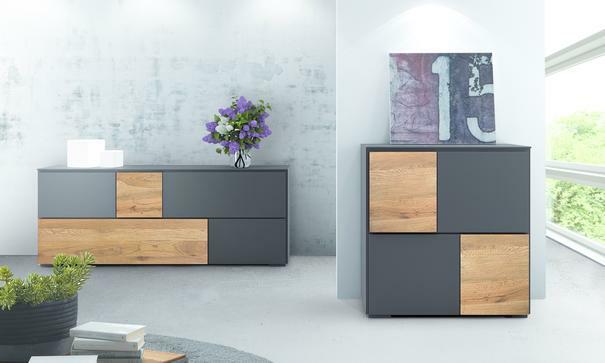 Expertly crafted from high quality MDF and finished in a combination of matt anthracite coloured lacquer and stunning Oak this beautiful sideboard offers ample storage space behind its five doors, two of which offer flap style opening. 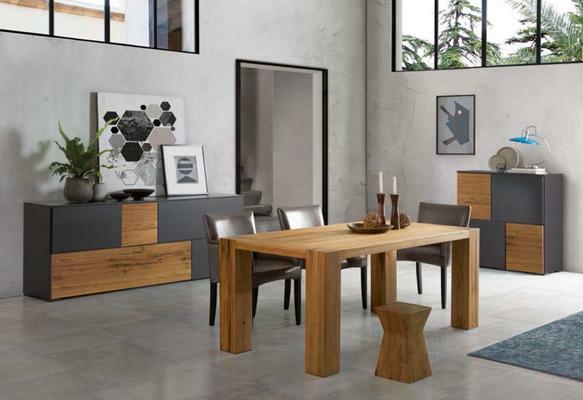 The solid Oak panels featured on this sideboard have been allowed to retain their original grains, knots and cracks to create an attractive natural aesthetic and for added versatility are also available in a choice of five stylish finishes. 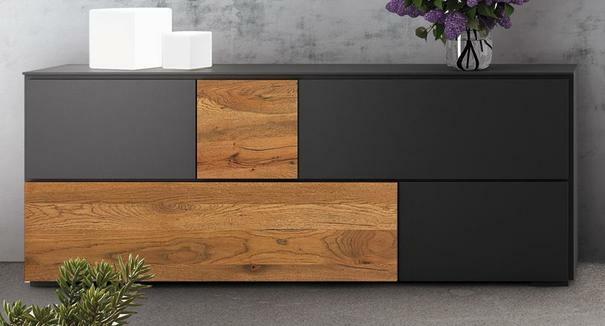 Simply use the checkout menu options to select your favourite finish.